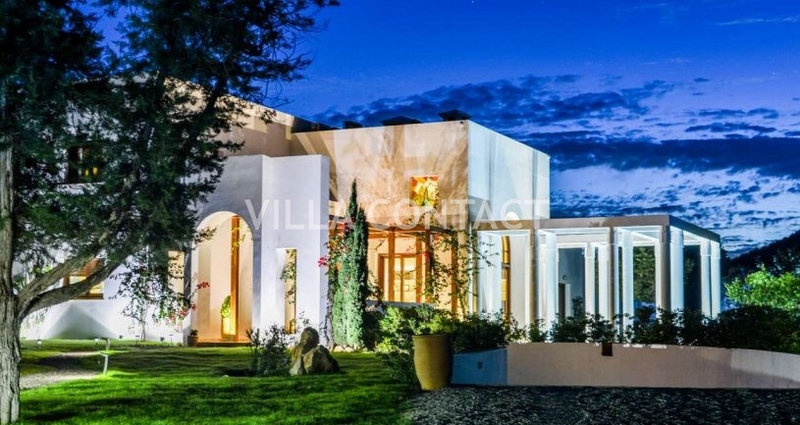 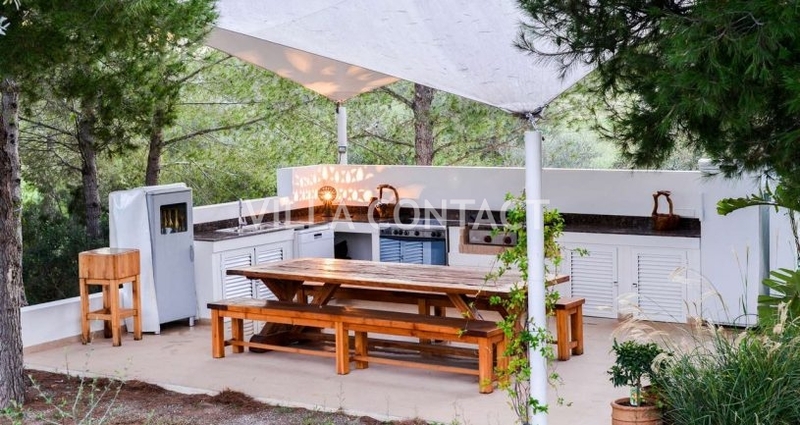 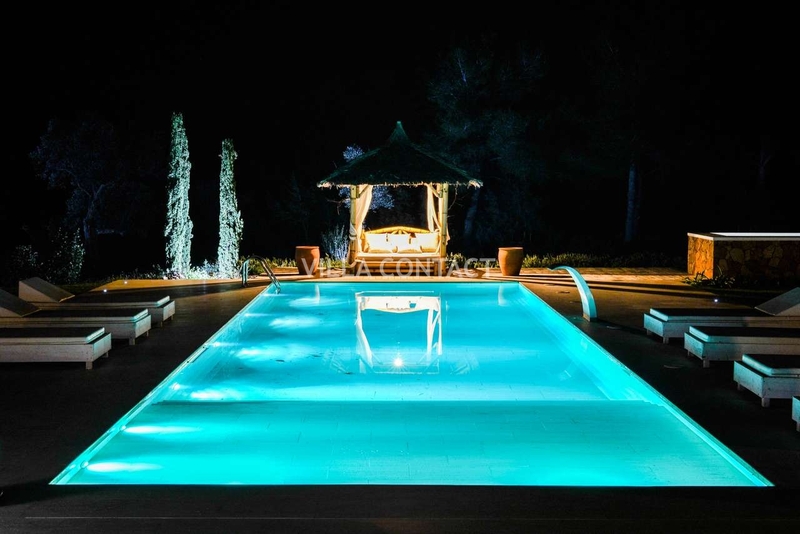 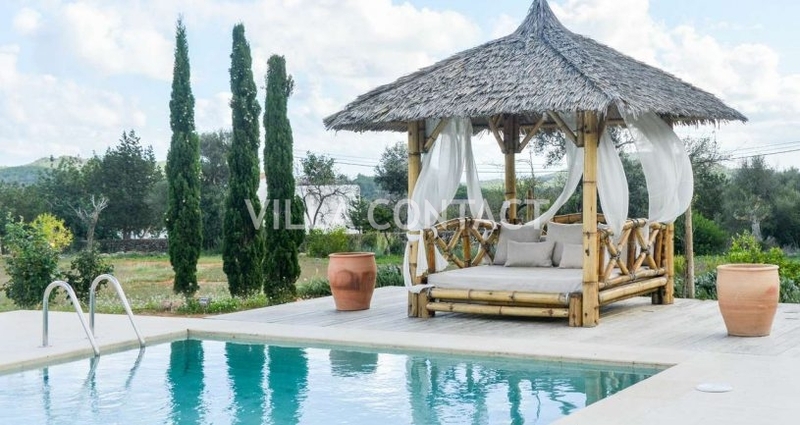 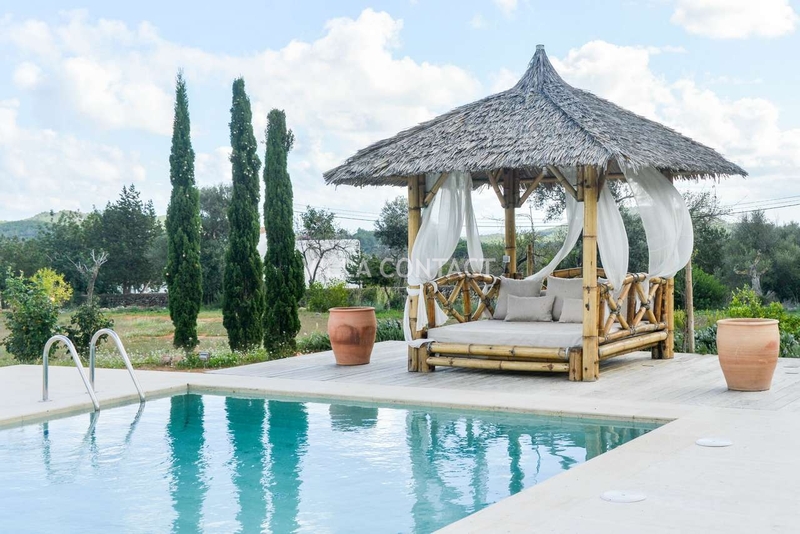 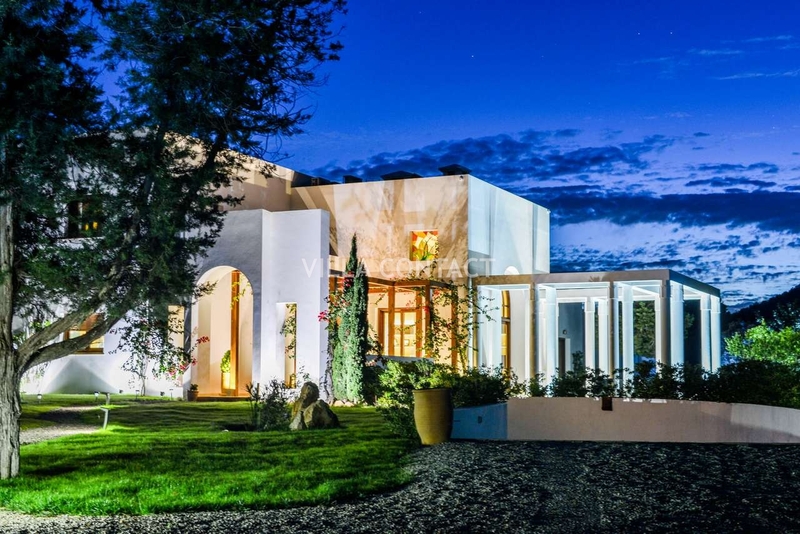 Villa Jasmin is a luxurious and comfortable villa with large 16 meter pool and private tennis court located in the peaceful countryside in the valley of Morna, San Carlos. 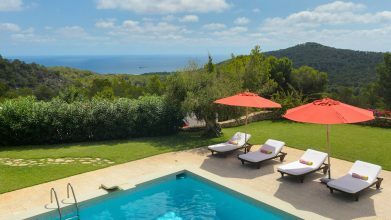 The property is located on a gently sloping plot with a southern orientation and enjoys all day sunshine and lovely sea and countryside views. 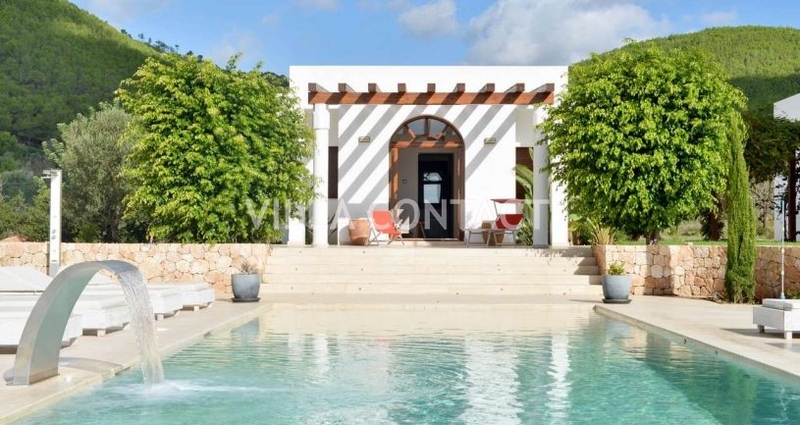 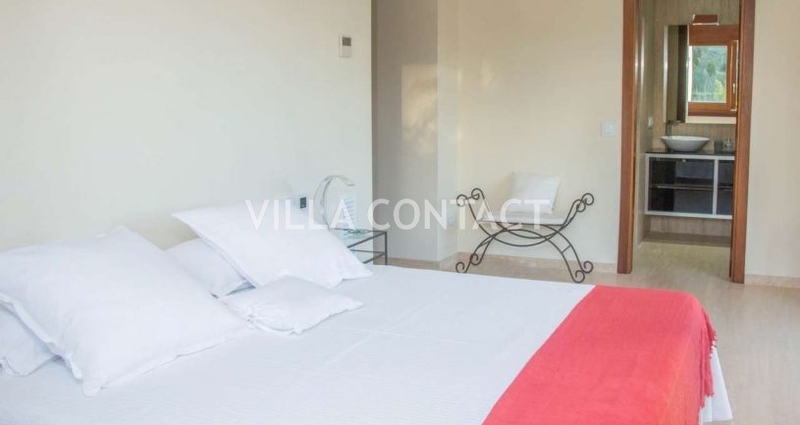 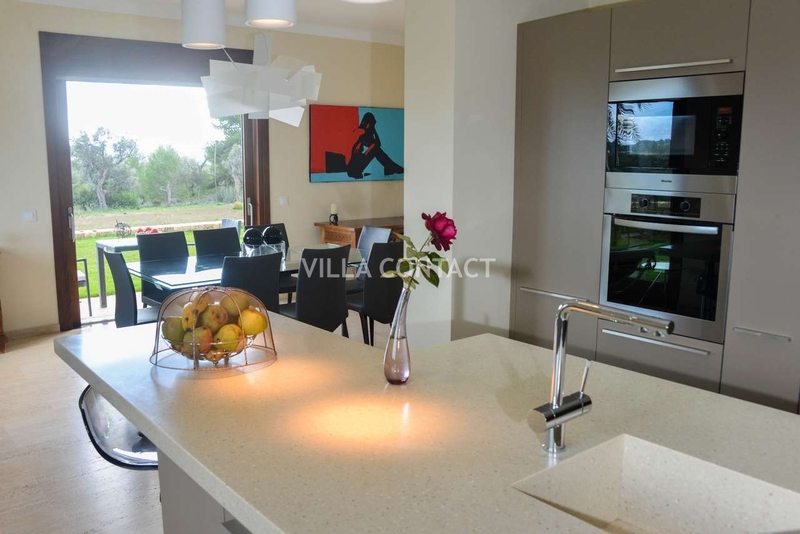 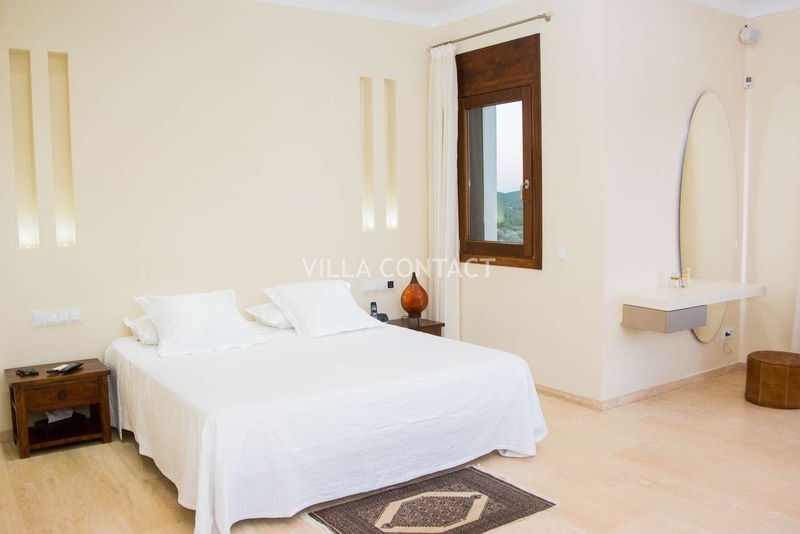 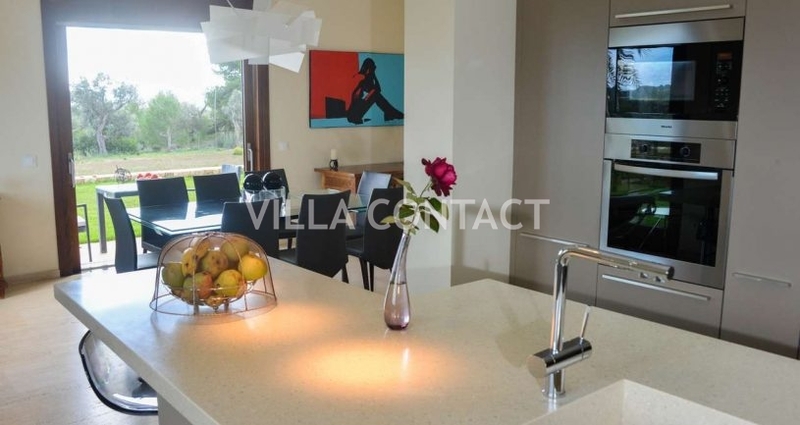 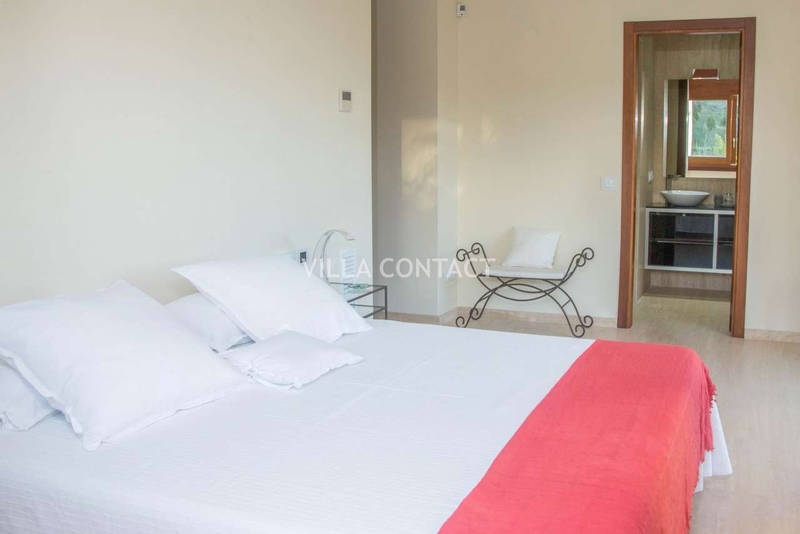 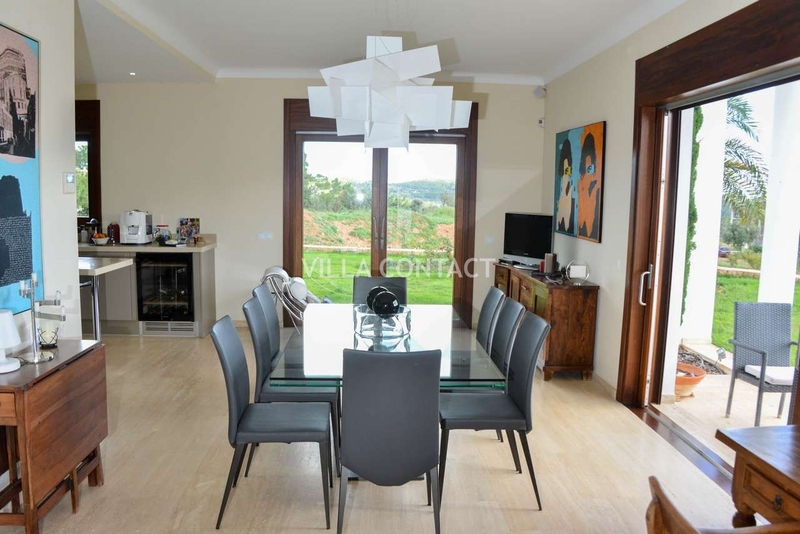 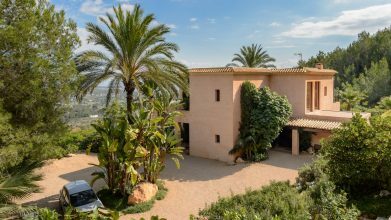 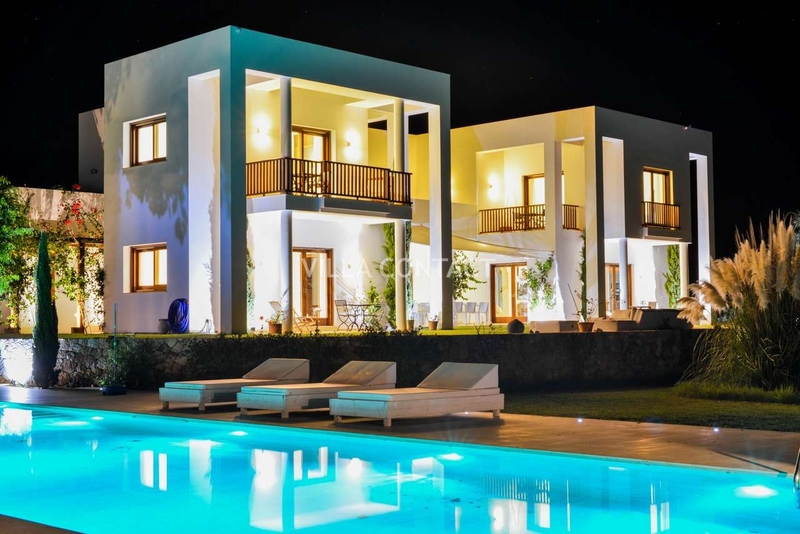 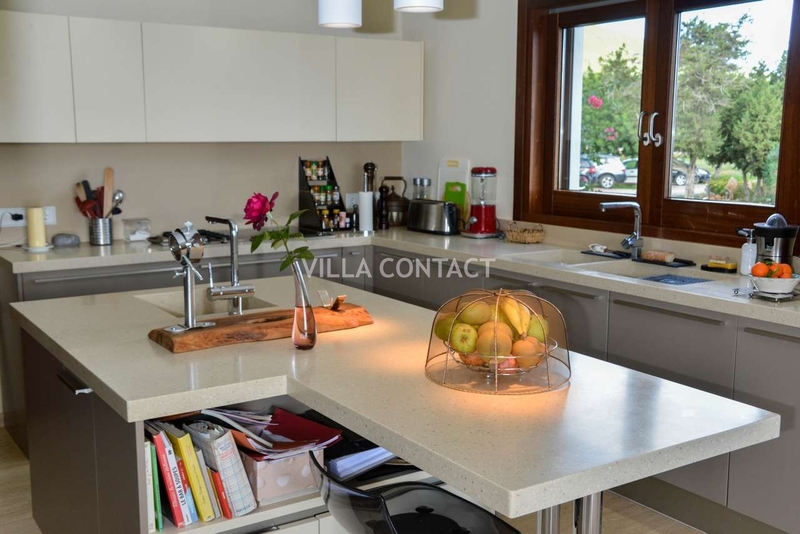 The property is made up of the main house with 4 bedrooms suites, large living room with double height ceilings and large fully equipped kitchen that opens up onto a large terrace with sea views. 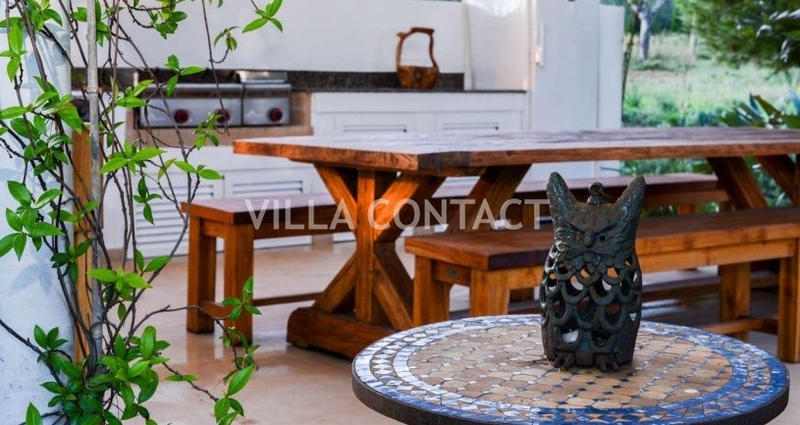 The guesthouse has 2 additional bedrooms and living room is connected by a pergola and walkway which is located in front of the inviting 16.5m x 5m salt water swimming pool. 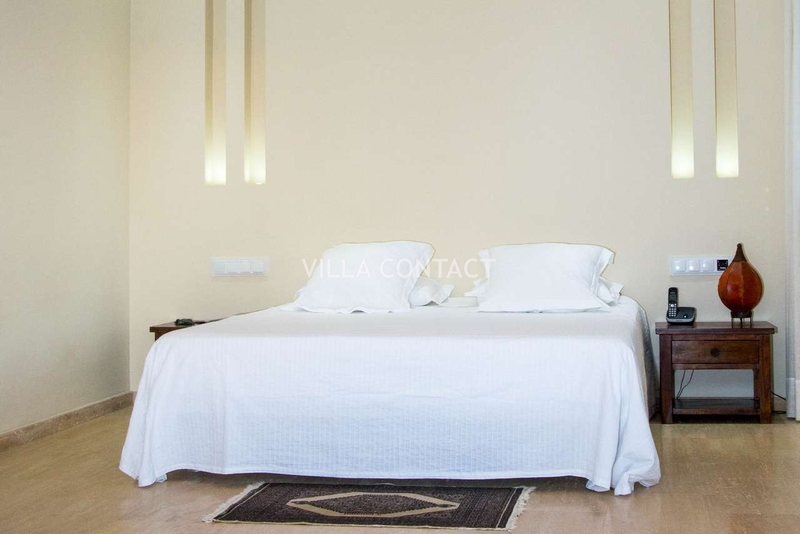 And there is an additional bedroom for staff in the basement. 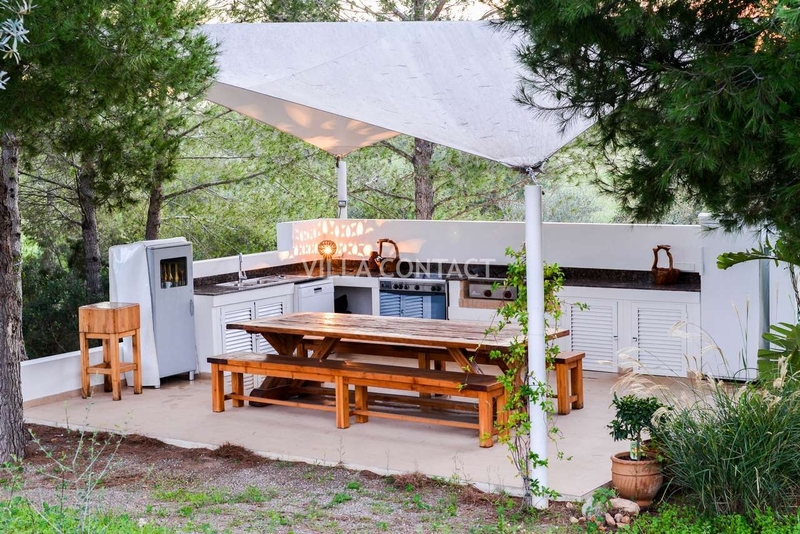 The exteriors of this property with its outdoor chillout areas, outdoor kitchen and various terraces and fruit orchards make this an ideal getaway in nature for summer and all year round living. 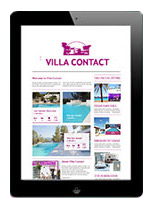 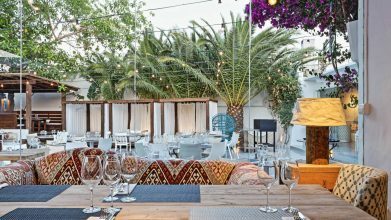 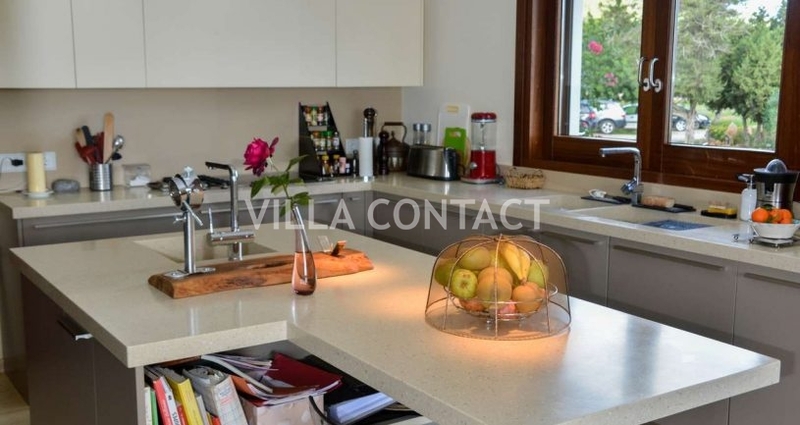 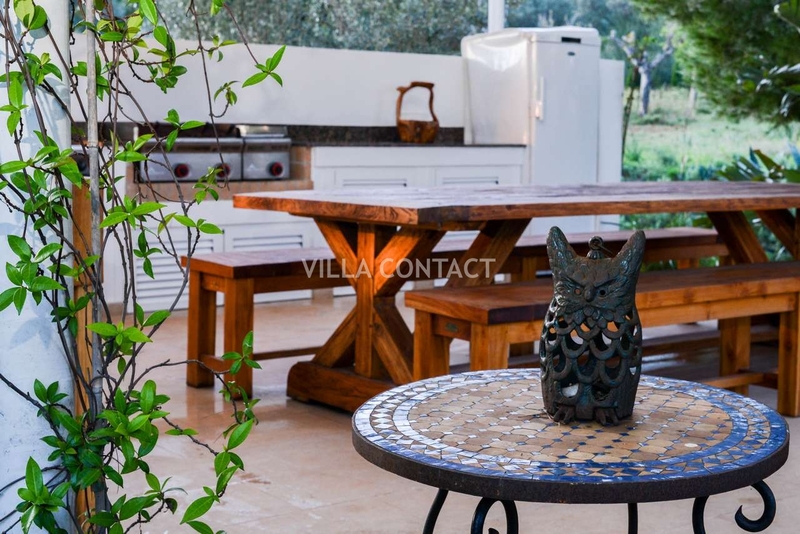 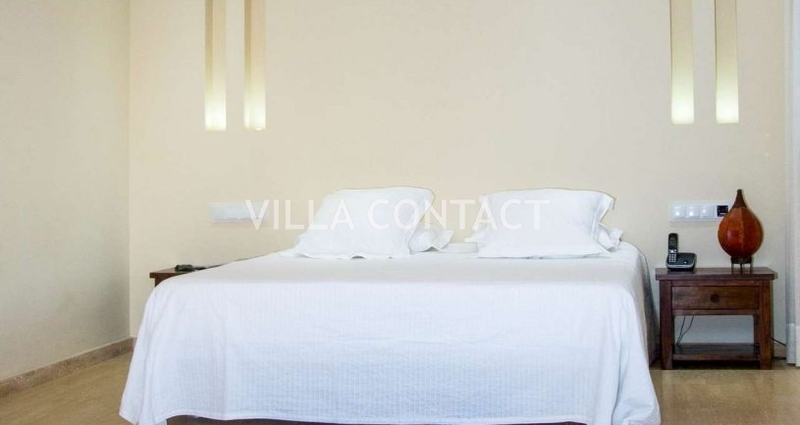 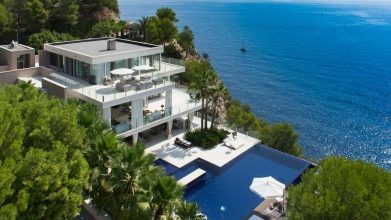 The property has underfloor heating throughout, hot/cold AC installations throughout and is connected to mains electricity. 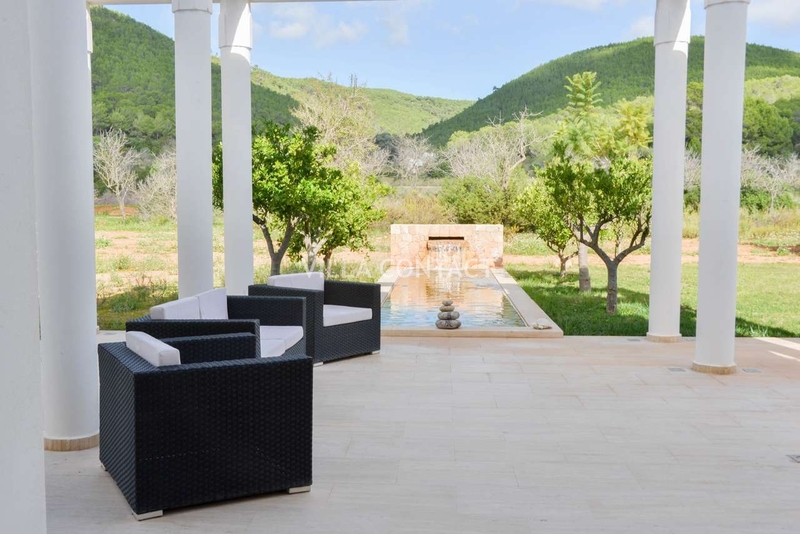 It also has its own well and cisterns and is completely self-sufficient for water. 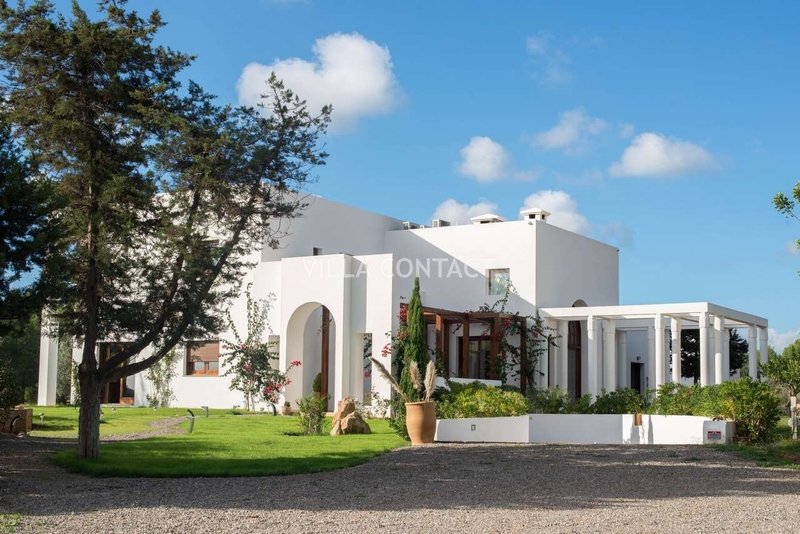 The property also has a 250m2 garage for storage, mechanical installations and staff quarters.